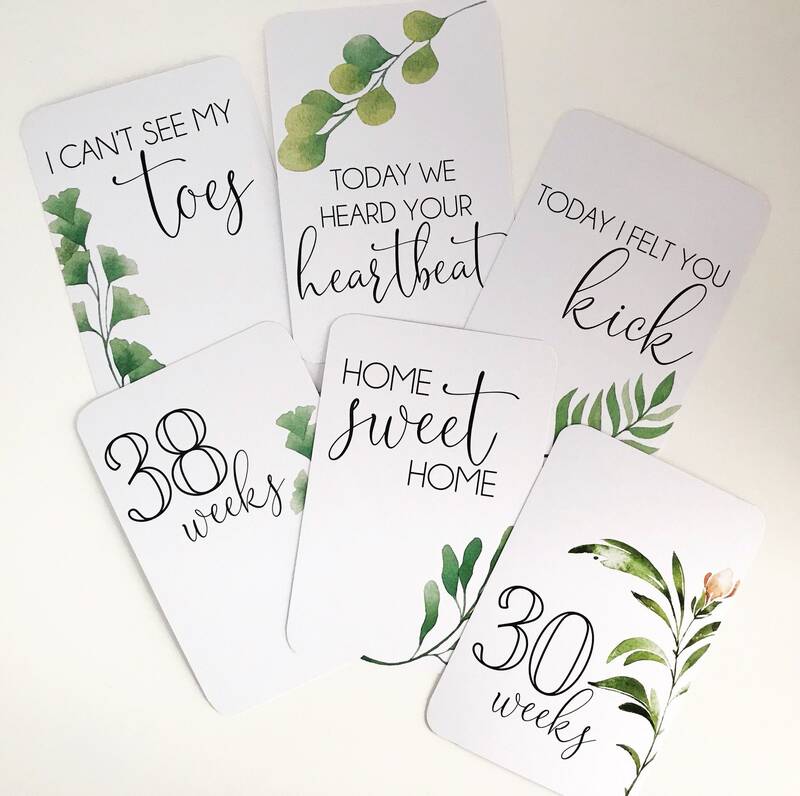 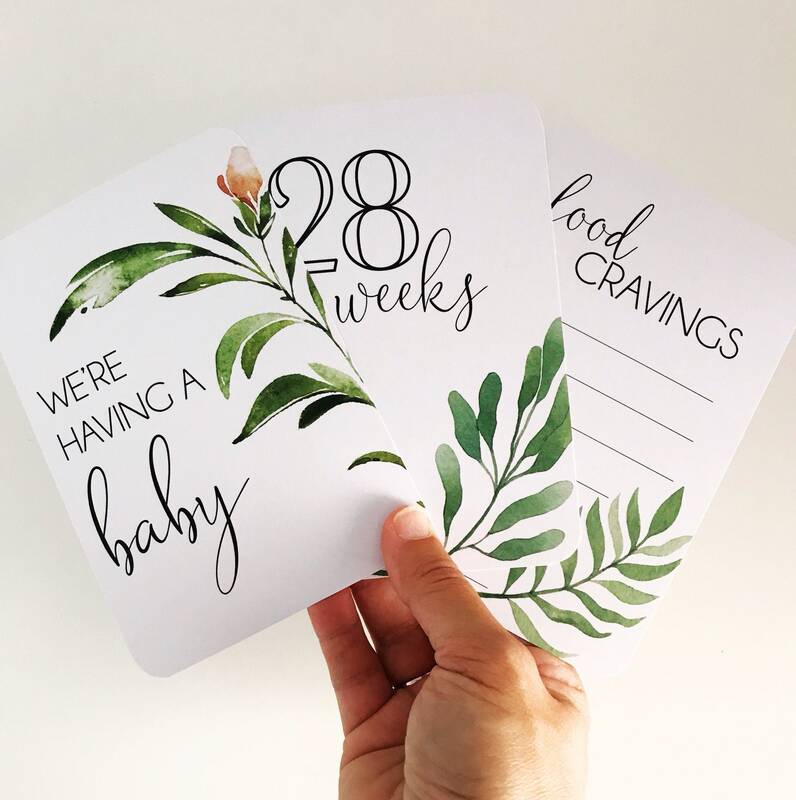 30 Beautiful Milestone Cards to capture those precious moments in your pregnancy journey. 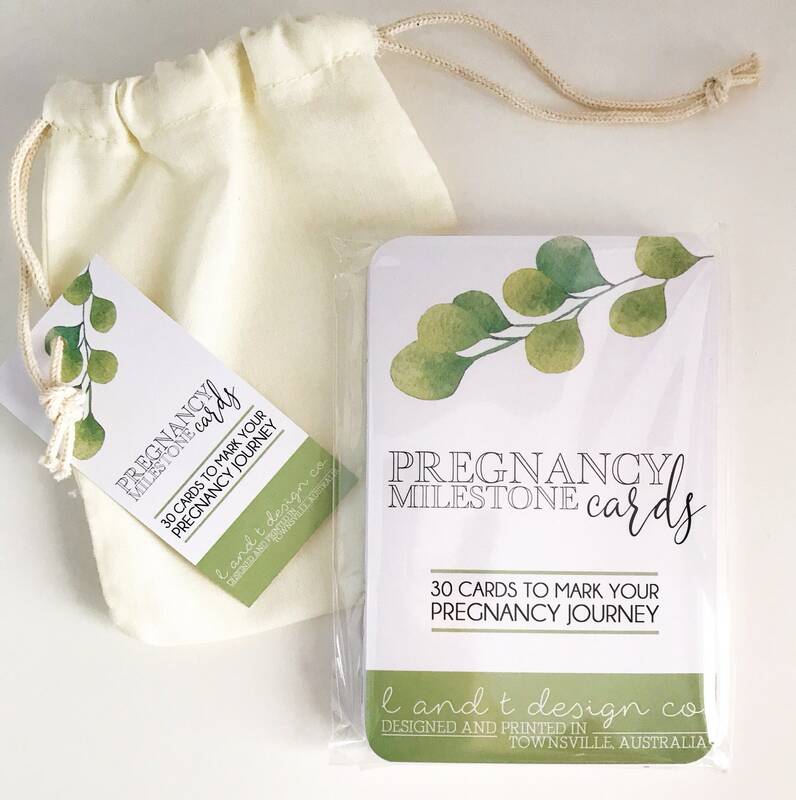 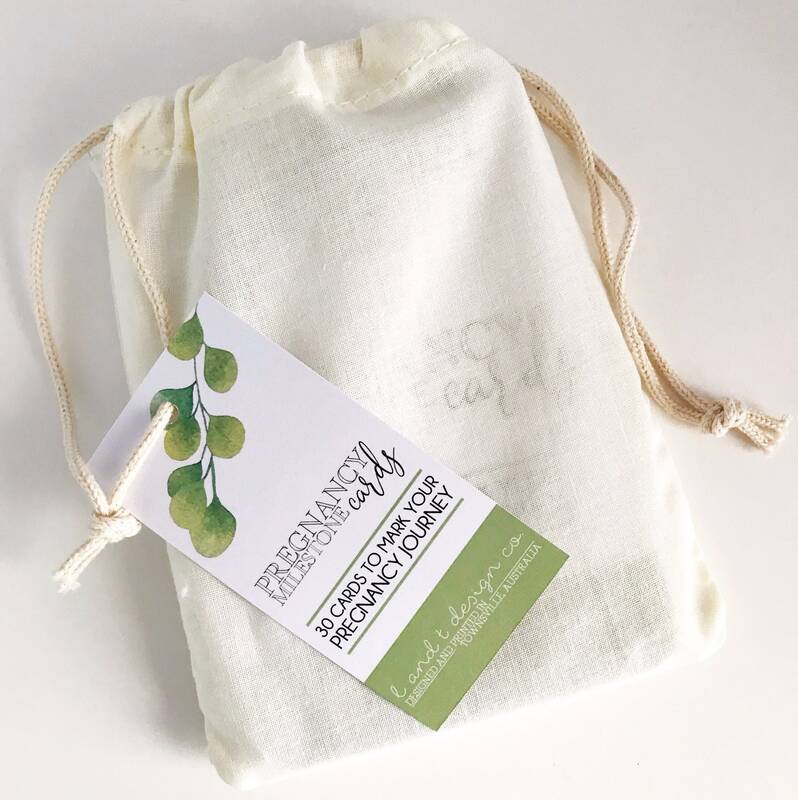 L & T Co's Milestone Cards come lovingly packaged in a clear cello bag within a sweet linen drawstring bag. 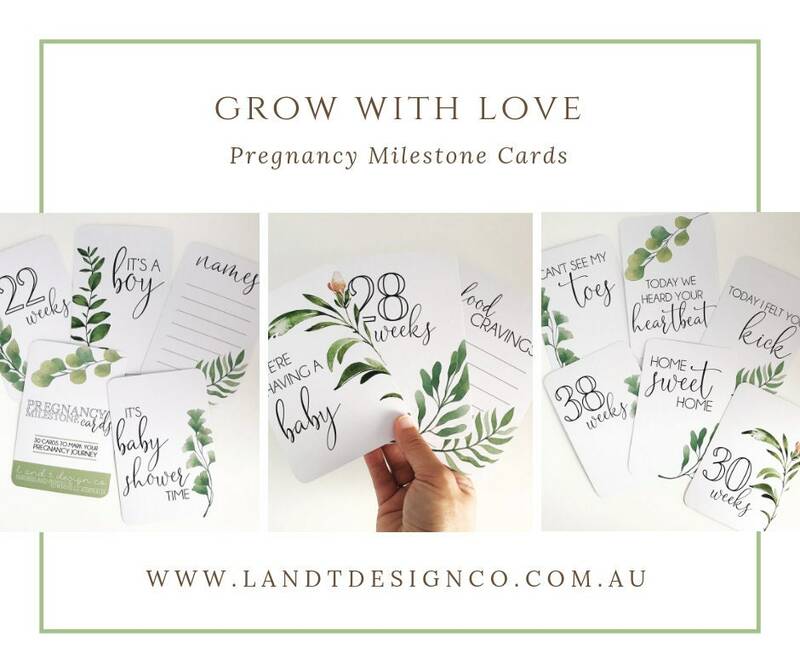 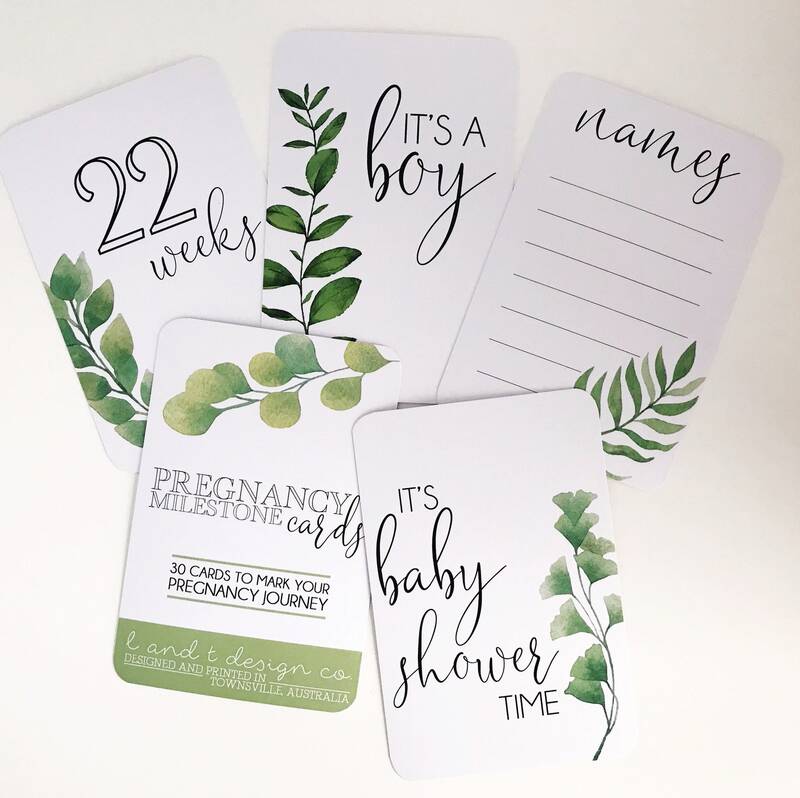 They make the perfect gift for a mum to be, or gift to yourself to announce those special moments throughout your pregnancy.